and secret petitions of your heart. Trust also in Him, and He will do. He will show you his goodness and long life. Happy Birthday. Delight yourself in the Lord. 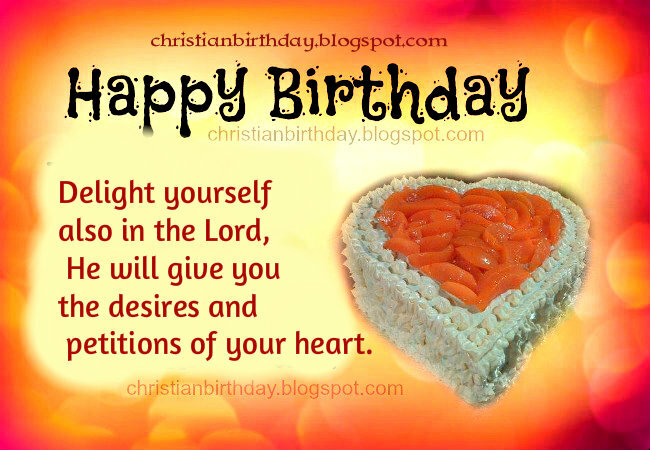 free images with christian messages for birthday. Free birthday cards for my son, daughter, friend, God blessings, scriptures for bday. Good wishes, verses.